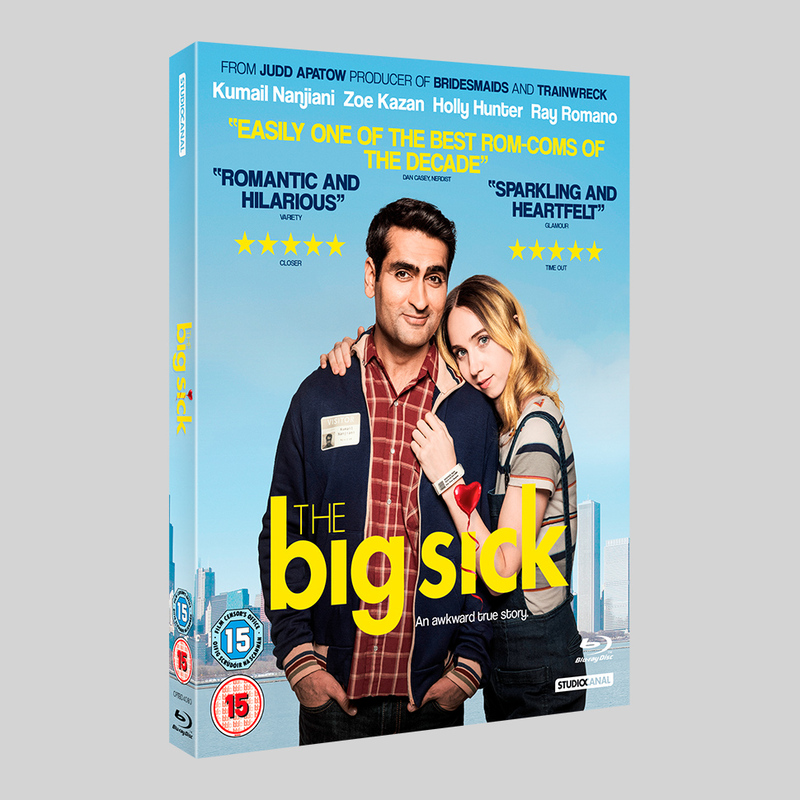 The Big Sick Blu-ray and DVD packaging, and digital assets for StudioCanal. The packaging for this release was based on the theatrical artwork, but with slight tweaks to make the title treatment brighter. The DVD sleeve works brilliantly in a yellow Amaray case, matching the brighter title treatment. 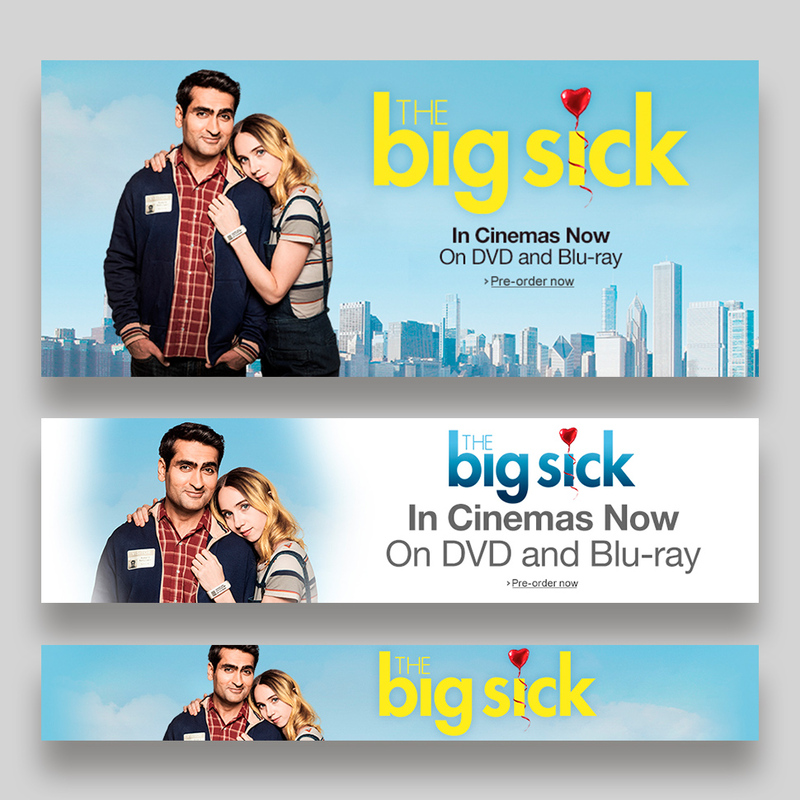 The design was adapted for the digital assets that needed to be supplied on a white background, where yellow text on white would have been lost. 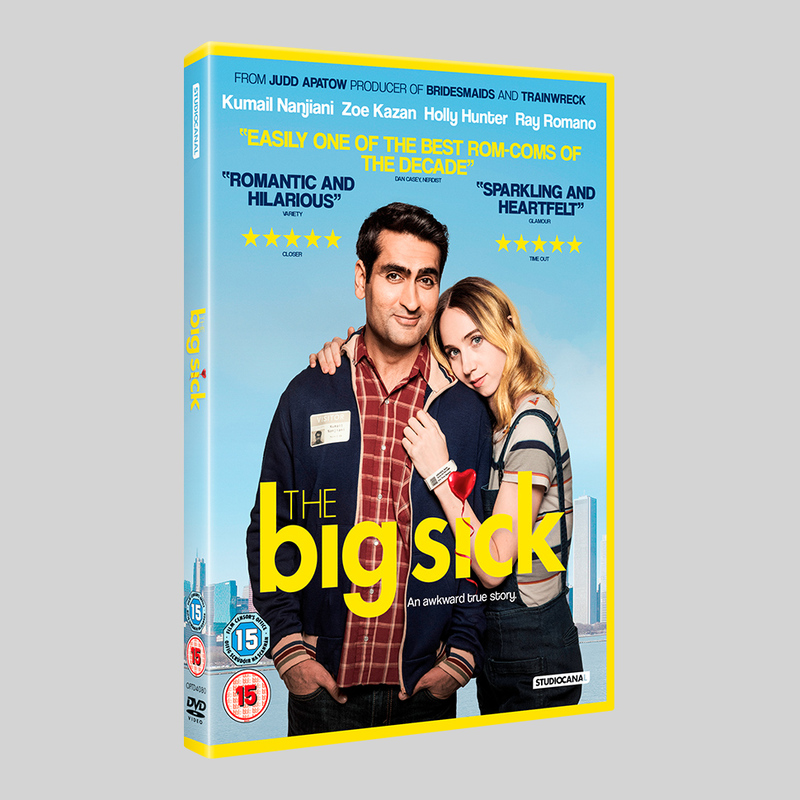 Produced by comedy heavyweight Judd Apatow, The Big Sick is the hilarious and heart-rending true story of Pakistan born aspiring comedian Kumail (Nanjiani), who connects with grad student Emily (Zoe Kazan) after one of his stand-up sets. What they thought would be just a one-night stand blossoms into the real thing, which complicates the life that is expected of Kumail by his traditional Muslim parents. 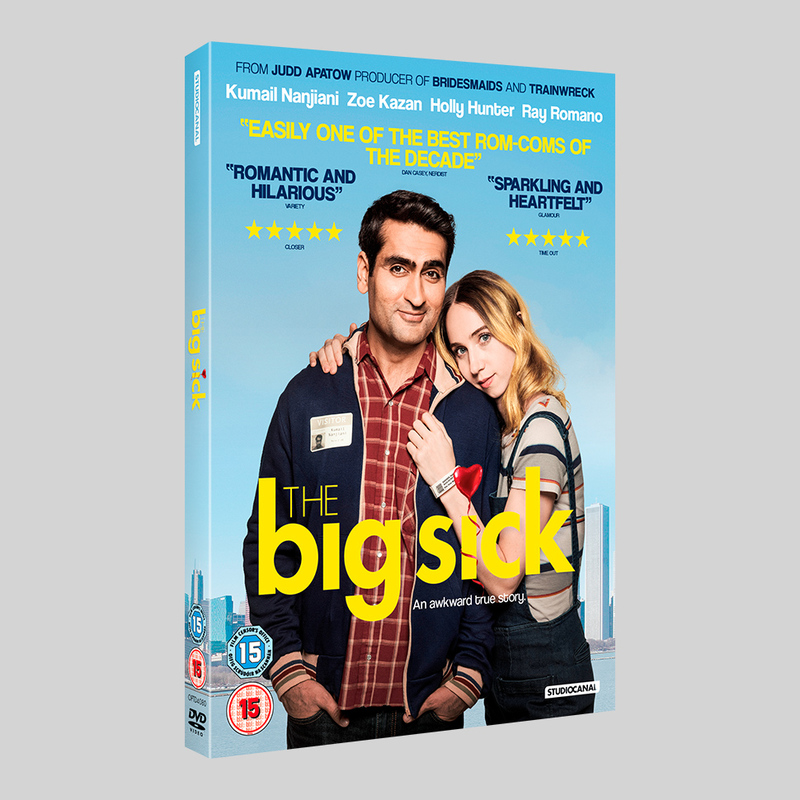 When Emily is beset with a mystery illness, it forces Kumail to navigate the medical crisis with her parents (Holly Hunter and Ray Romano), who he’s never met, while dealing with the emotional tug-of-war between his family and his heart.